The Snowy Day Ezra Jack Keats is one of my favorite books to read. It is a sweet, simple story about a little boy who wakes up to the ground covered in snow. It talks about what he does during the snowy day. 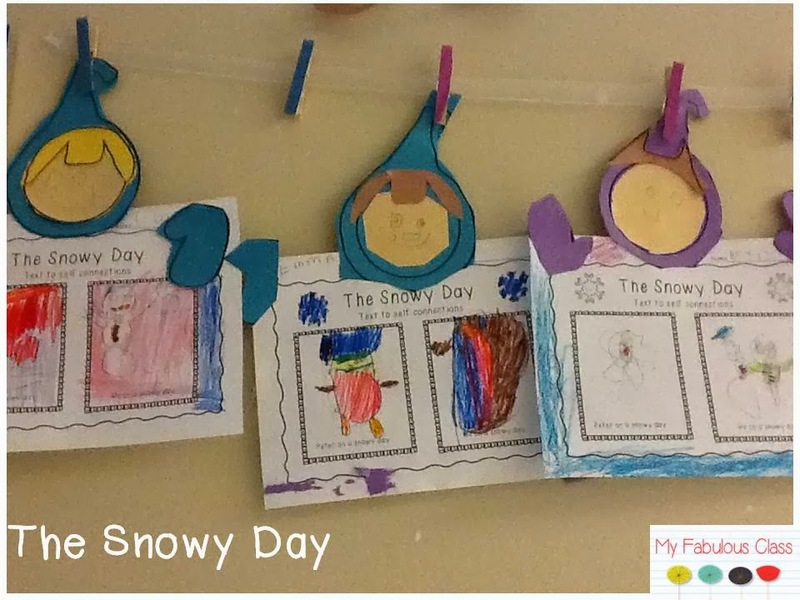 It is a great way to get kids thinking about what they would do on a snowy day. 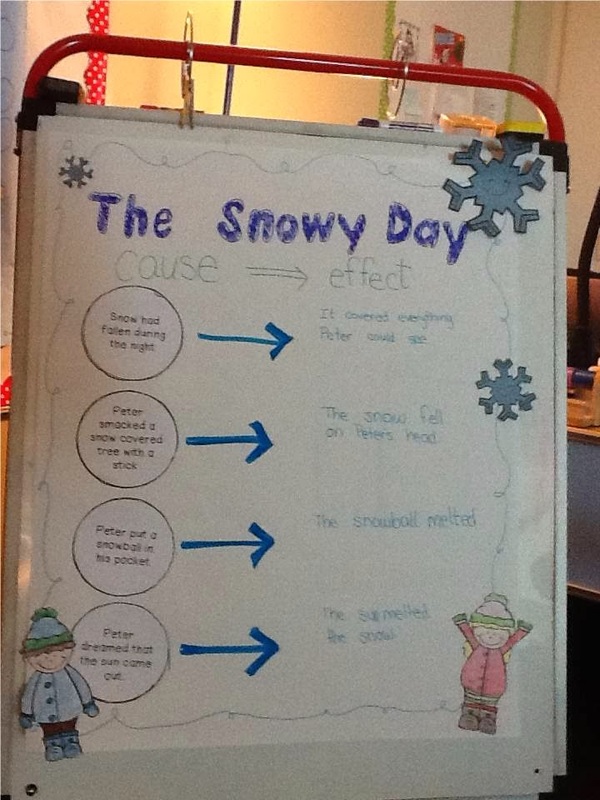 It is also a great book to do a lesson on cause and effect. My kids did pretty well with this...after we went back and reread each part. They were able to tell me that the snowball melted in his pocket without rereading. 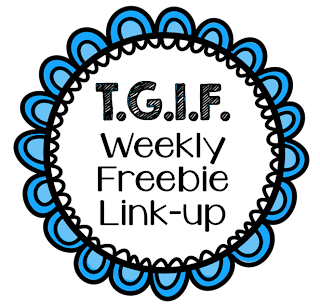 This adorable craftivity was a FREEBIE by Michelle Hudgeons that you can find here. She includes an adorable cause and effect book that would have been a little tricky for my Kinders (perfect for 1st or 2nd). Instead, my kids drew a picture about Peter's snowy and a picture of themselves on a snowy day. I LOVE how one kiddo colored their border and then everyone else copied. I think it looks nicer with the extra color. 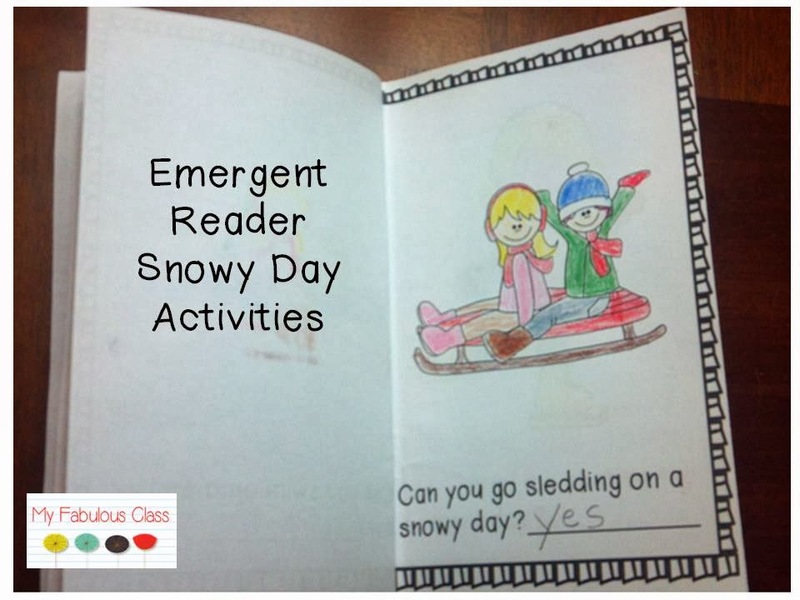 I also made a little emergent reader about snowy day activities where students can read, answer yes/no questions, and color. 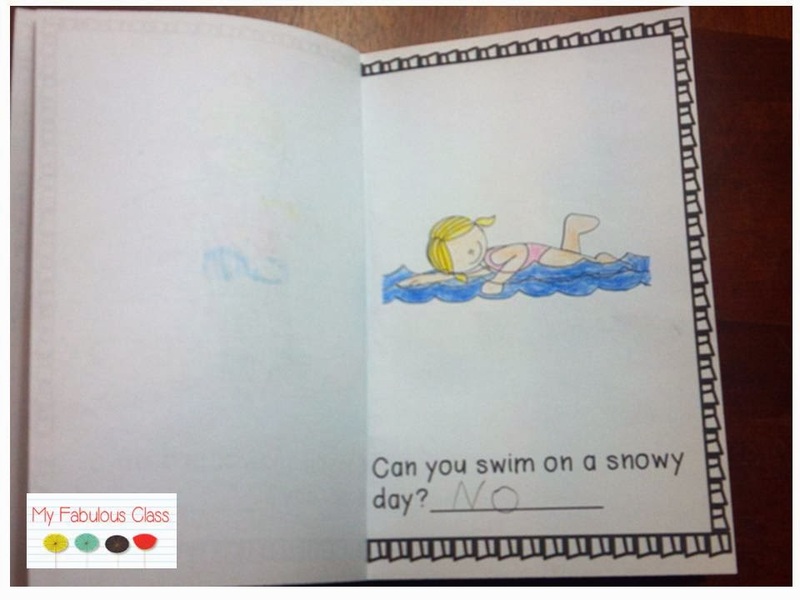 On one of the pages, I asked if you could go swimming on a snowy day. I assumed the answer would be no. One sweet pumpkin raised her hand and said, "My mom takes me swimming every Saturday, even when it snow." Oh, right, the INDOOR pool. 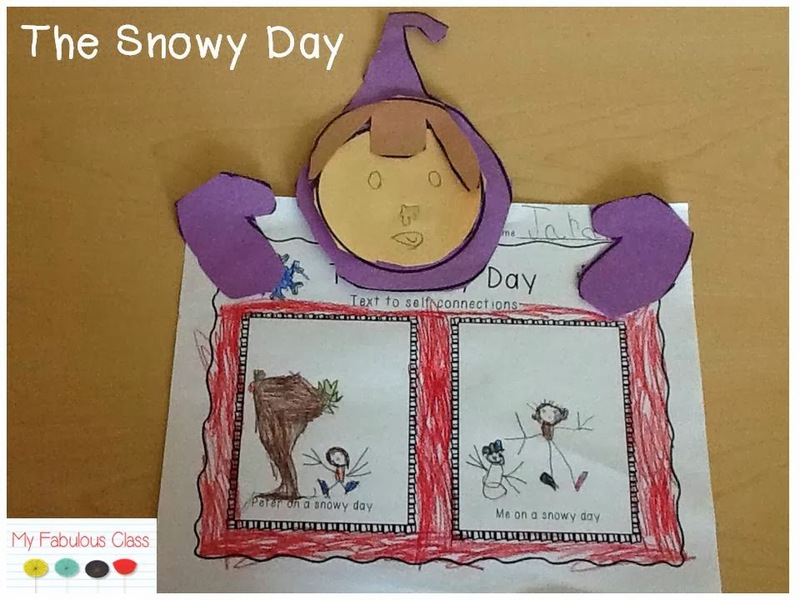 Now, I doubt she actually went on a snowy day because it has only snowed one time this year. You can find everything you need to teach this lesson FREE HERE. You've got the greatest stuff! I love the emergent reader :) Just wanted to say thanks for doing the giveaway. I am sooo excited! This is such a cute giveaway. I will be doing one soon on my blog if you want to join in on the fun. Be on the lookout as I will be asking for donations for it soon. 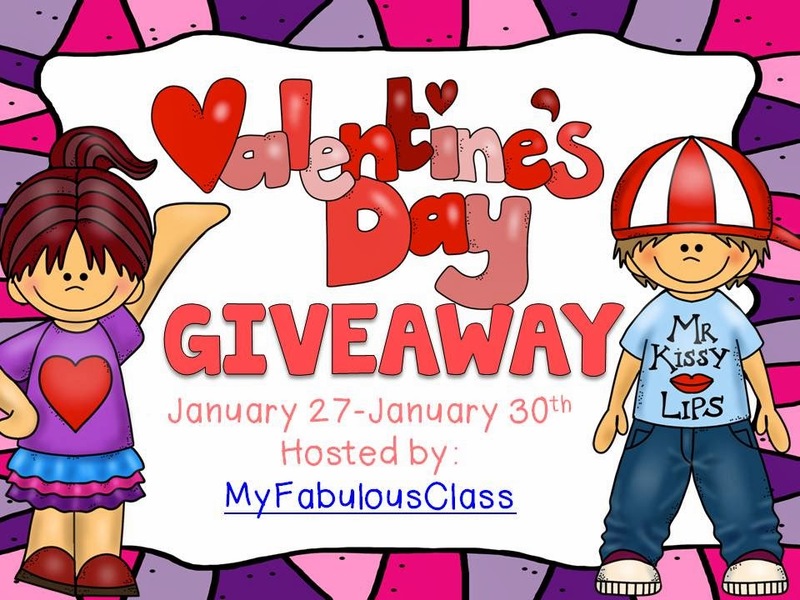 I will host my giveaway during my Feb. Break which is my one year anniversary on TPT. I love your products. They are right up my alley. Keep on creating!